At Booth Movers, we understand how important it is to have the highest level of care and consideration during a household move. Since the 1940s, our BBB-accredited business has been providing industry-leading customer care for household relocations in Bergen County and beyond. Our certified ProMover company is a proud member of both the American Moving & Storage Association and the New Jersey Warehousemen & Movers Association. This means you can count on your move being conducted professionally from start to finish. As an agent for the prestigious Atlas Van Lines, our award-winning New Jersey household moving company possesses the resources and professional network needed to make your next household move a seamless, stress-free experience! Quality service and exceptional customer care is the top priority for our New Jersey household movers. At Booth Movers, our goal is to make every customer feel like a friend as we work with them to navigate each stage of their relocation. To begin the process, one of our moving specialists will come out to your home to provide you with a free estimate of the New Jersey household moving services that best suit your needs. Whether you are looking for basic relocation assistance or a full-service home moving experience, we have customizable moving and storage solutions that will meet your needs! Whether you are moving down the street or across the globe, the experts at Booth Movers can help you get there with our premier New Jersey household moving services! Local Movers – Our team of household movers are skilled in all facets of local, residential relocation. Long Distance – Take the stress out of your next relocation by having Booth Movers handle all the details of your move. 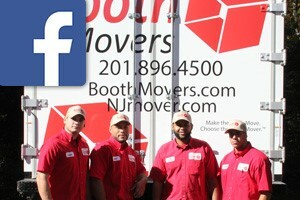 Interstate Moving – Moving to a new state is a seamless process with our Bergen County household movers! International Moving – From customs clearance to full-service packing and crating, Booth Movers has the expertise to handle any international relocation. Full Service Moving – Whether you need help packing an entire household or you have high-value items to transport, our home movers will get the job done efficiently. Booth Movers is the first choice for premier household movers in Bergen County, and we are ready to help you with your next relocation! For more information, give us a call or fill out our online form to request your free, no-obligation moving estimate!